Chicken & Biscuits are made from high quality bone shaped biscuits wrapped in the middle with PCI’s 100% natural Chicken Breast Tenders strips. Another favorite with dogs! 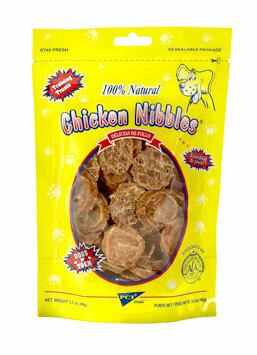 Our treats are hormone, preservative and additive free. Low in Fat and ACA endorsed. They are available in three sizes! Mini (approx. 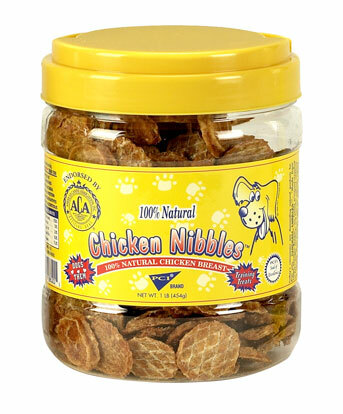 1”) in 20 oz canisters, Small (approx. 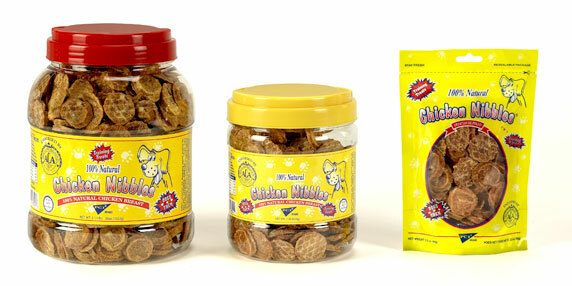 1.5”) in 1 pound canisters and Giant (approx. 3”) in 44 oz canisters! 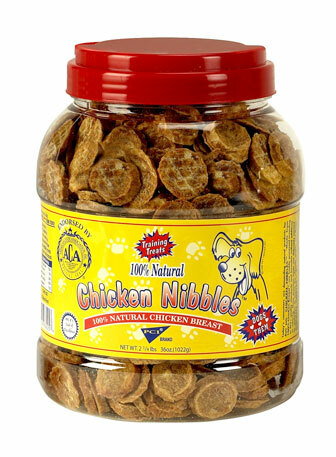 Chicken Nibbles are available in 3.5 ounce packages, 16 ounce canisters and 36 ounce canisters.